The Meatless Farm Co will be showcasing its global offering and kick-starting its international expansion at the trade show Gulfood in Dubai, 17-21 February 2019. At stand S-P13, they’ll be offering visitors the chance to sample their products and will be seeking global partners to expand to new markets. The company will feature as part of the ‘British Pavilion’, promoting British products of outstanding quality. 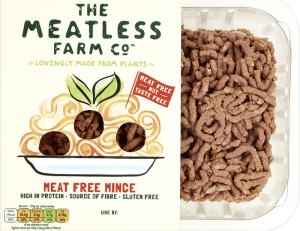 The Meatl ess Farm Co’s experts and chefs spent two years developing products that deliver on texture and taste – the biggest barriers to people going meat-free. The company offers an everyday, centre of plate solution, suitable for flexitarians, vegetarians and vegans around the world and is looking for partners that can help them champion ‘kind eating’ on a global scale. For more information, visit: www.meatlessfarm.com and visit The Meatless Farm Co stand at Gulfood, S-P13. 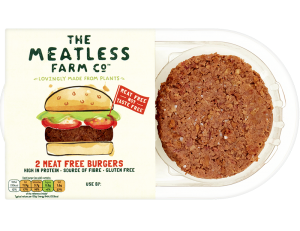 Tags: meat free burgers, meat free mince, The Meatless Farm Co.